Today I had my first non-JavaSvet presentation (for those who don’t know JavaSvet is the first serbian Java user group). It was organized by the great people in SEE ICT organization. I wasn’t the only speaker, a friend of mine Vladan Petrović was in it as well, and he made this awesome presentation in prezi (I’ve helped with the content, not that much with the overall design). You can find the presentation here. I must say that I am pretty impressed how fast it was to make a presentation, and how effective it looks like. I saw that some people in the audience were impressed. 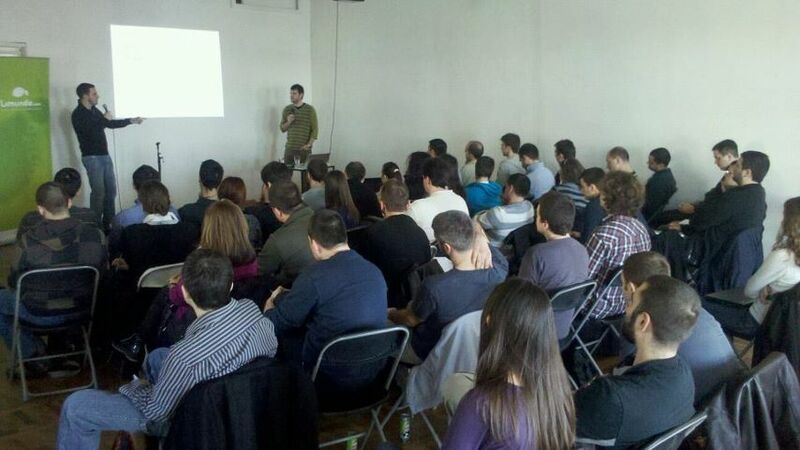 And also, this was my first time presenting something that is inside a browser, and not powerpoint/open(libre)office. So it was all pretty new for me. The goal was to first explain android basics, and later give them some small exercises that they can work on. We decided to test them with a little bit of tic-tac-toe. We’ve showed all the basics with this little example that I have made (github link). In case you need it, you can find there some basic examples of activities, services, broadcast receivers and content provider. Basically all-in-one example. It’s a small, but functional mp3 player (actual song isn’t hosted @ github). To make things more geeky, I’ve selected Paranoid Android by Radiohead (OK Computer album), cool eh? The thing that totally blew me away was that when I got back home, I’ve already had some facebook invites, and tweets, that people continued working on the example as their first project. UPDATE: Great guys from start it uploaded the video to youtube. This entry was posted in Java and tagged android, github, java, lecture, presentation, tutorial. Bookmark the permalink. Glorious moments, heh? Congrats on this presentation and I wish you many more to come. Cheers!